Great news about a new tenant at One Bridgestone Park, former home of the International Academy of Design & Technology (who has now moved to the Music Valley area). The Tennessee Board of Regents will be moving in to the former original Bridgestone headquarters and make it their own HQ. This will bring 112 jobs to this building and be great for our area restaurants and retail shops. 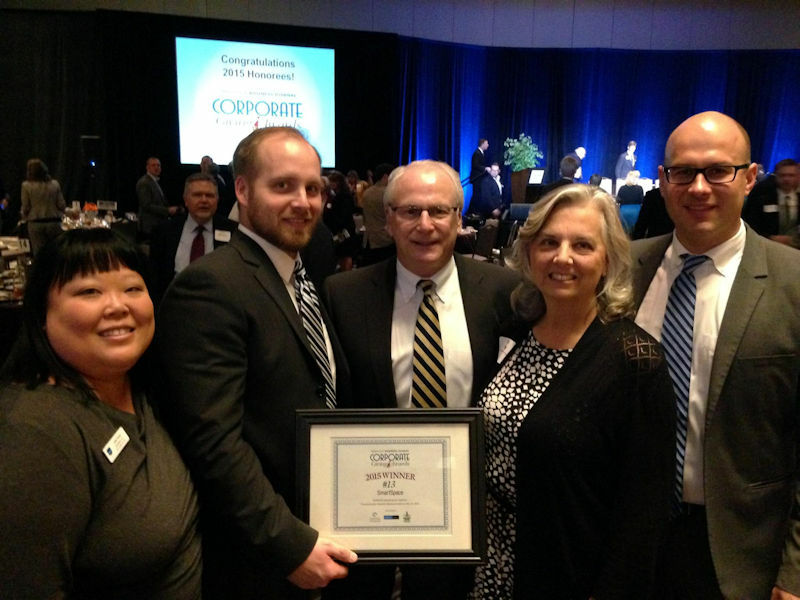 The Nashville Business Journal announced the 2015 Corporate Giving Awards and Smart Space was a winner among many great companies. Congratulations to Smart Space President Floyd Shechter and the whole team for a very deserving award! As Nashville and Middle Tennessee continue to create a master plan for mass transit in our region, the Music City Star is becoming more attractive in that the foundation is already built. Mt Juliet and Wilson County are working to develop the areas around their train stations into true transit-oriented-development areas. Our Donelson Station is the first train stop outside of downtown Nashville and could be a very tangible solution to offering more transit options. Congratulations and welcome to The Dixie Drip mobile coffee shop with lunch, ice cream and more to the heart of Donelson on Old Lebanon Pike. Upon moving to The Donelson Plaza area, neighbors have been raving about the great coffee, food and service with a smile. Be sure to check them out. 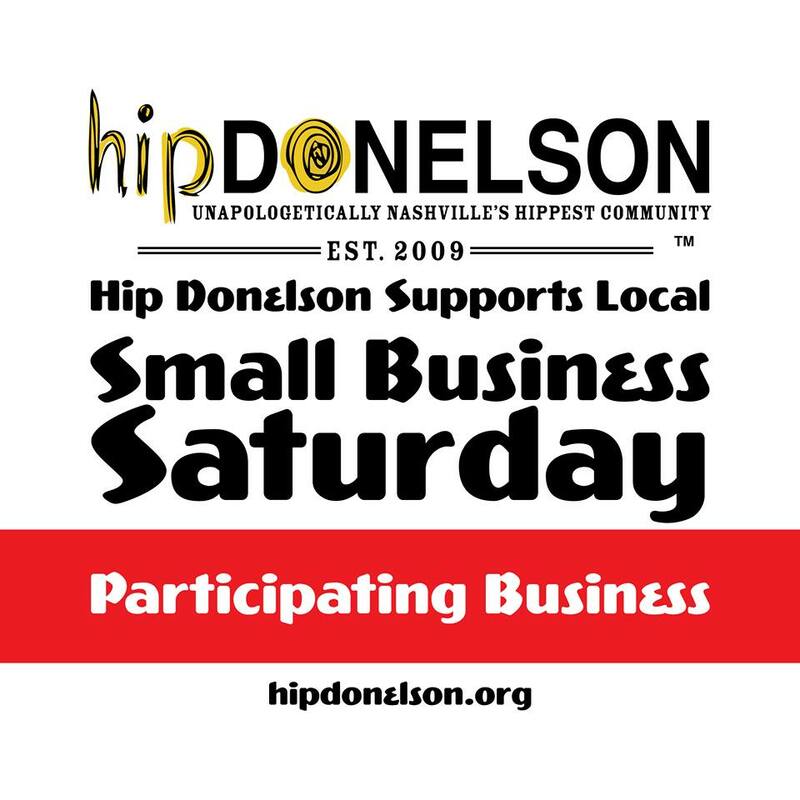 Hip Donelson is hosting the second annual support of Small Business Saturday on November 28th. Shoppers will be given a card to take to all participating businesses to be punched. Those completed cards will be entered into a drawing for a gift basket with items from participating businesses. 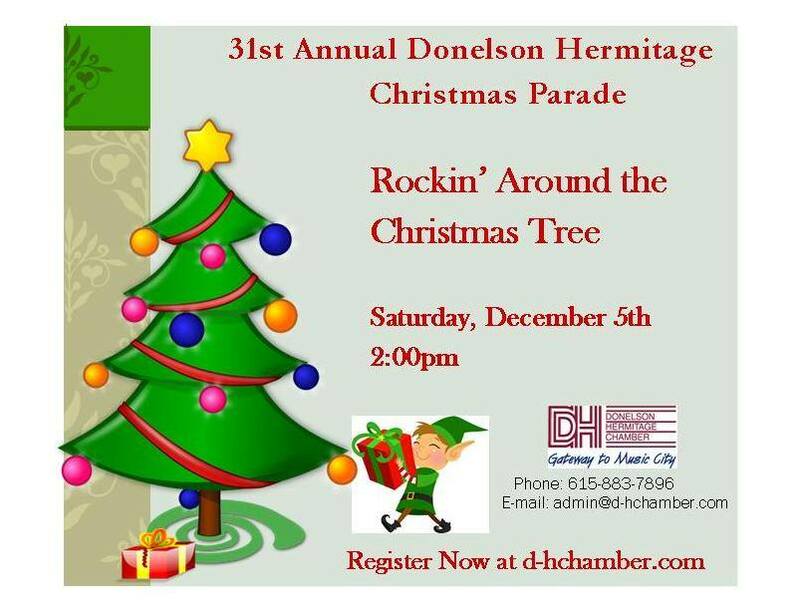 The 31st Annual Donelson-Hermitage Christmas Parade presented by the Donelson-Hermitage Chamber of Commerce will be on Saturday, December 5th at 2pm. It’s a community tradition and a great opportunity to showcase your business or organization. 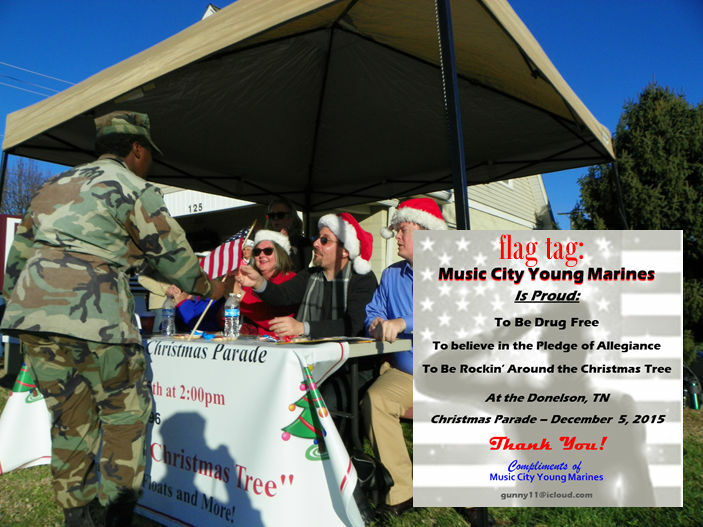 If interested in reserving a spot in the parade, visit the Chamber’s website here. 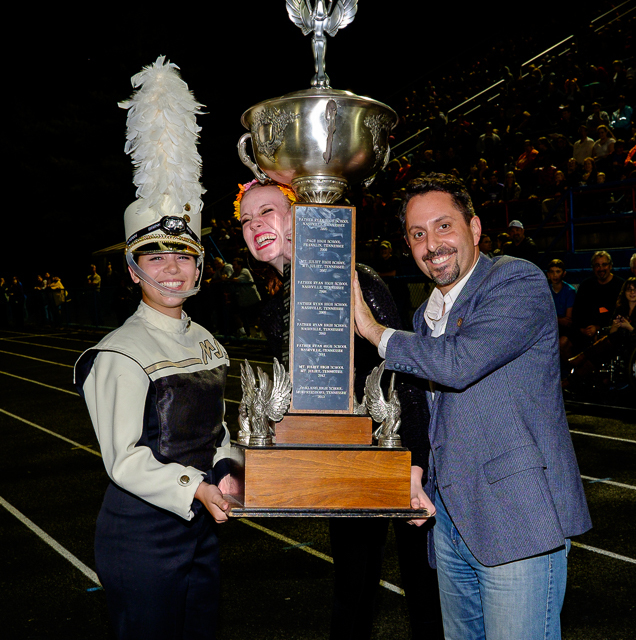 The 37th Annual Music City Invitational Marching Contest was Saturday, October 24th and hosted by McGavock High School. I was honored to be asked to present the Mayors Cups awards. It certainly brought back strong memories of my days marching trumpet and being a drum major. McGavock did a great job at their exhibition and all the bands gave memorable performances. Congratulations to all the participants and winners. 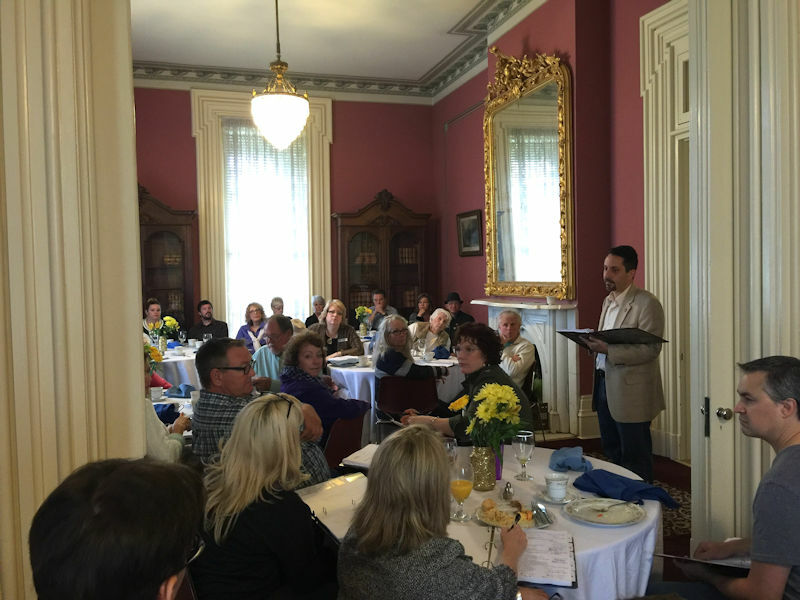 The Donelson Neighborhood Leader Breakfast at the Two Rivers Mansion on Saturday, November 7th turned out great and was an enjoyable and productive morning. Melanie Moore with Legacy Foods catered a delicious breakfast and special guests were Senator Steve Dickerson, School Board Member Anna Shepherd, CM Holly Huezo (District 13), Commander Preston Brandimore and Sgt Jeff White from our Hermitage Precinct, Sharon Kipp representing the Donelson-Hermitage Chamber and Leadership Donelson-Hermitage, and Frank Trew, President of Hip Donelson. About 25 neighborhoods across Donelson were represented and it was a great morning of sharing successes, challenges, opportunities and discuss a number of topics about managing change and successfully creating a strong communications network. We also discussed the Metro Arts THRIVE program, our new Donelson-Hermitage-Old Hickory Community Plan, the upcoming Metro Police Christmas Charities and much more. It’s nice to sit down and write this next newsletter reflecting on an incredibly busy couple of weeks that have been both productive and enjoyable. 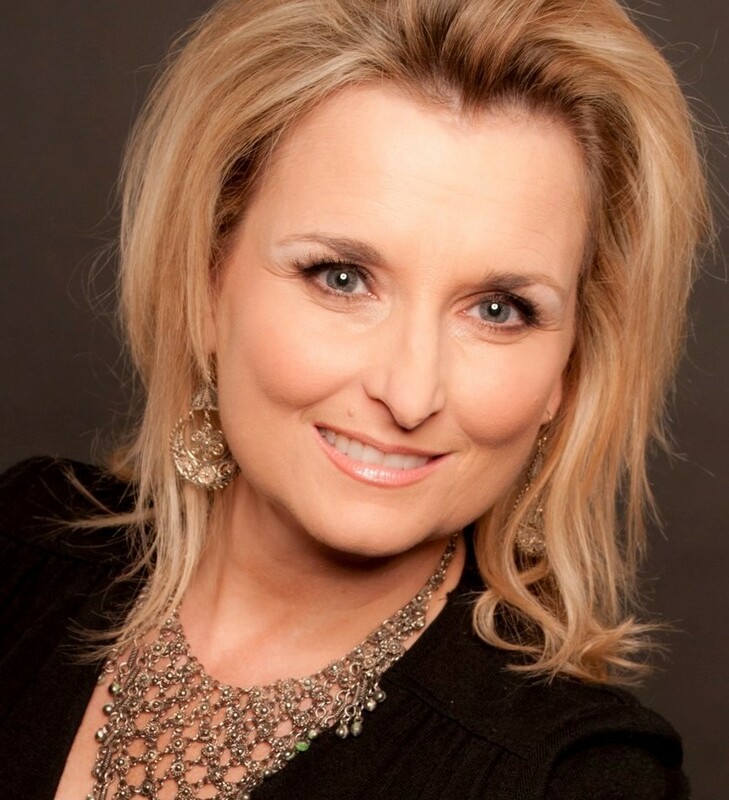 I began a new job at BMI as an Associate Director of Licensing Customer Relations and am thankful for continued professional growth and opportunity to serve BMI’s songwriters, composers and publishers. We had our third Metro Council meeting on Tuesday, November 3rd and it was also the National League of Cities conference that same week. I’m looking forward to the Holiday Season approaching and hope everyone will have an opportunity to enjoy quality time with family and friends. The National League of Cities held their annual Congress of Cities conference in Nashville during the first week of November and it was a great way to showcase our city’s success, thriving businesses, music and much more. Attendees were Mayors and Council Members from all across the United States and was a great opportunity to share ideas and best practices. I had the opportunity to bring Joey to the NLC Board of Director’s dinner where Emmylou Harris gave a wonderful performance after the dinner. Joey got to meet her as well. 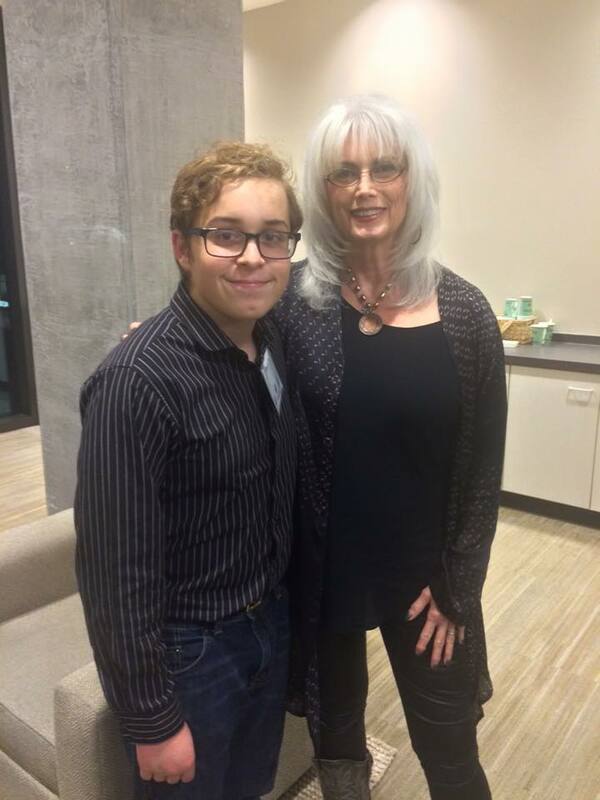 I love this picture of Joey with Emmylou taken backstage before the dinner and performance. 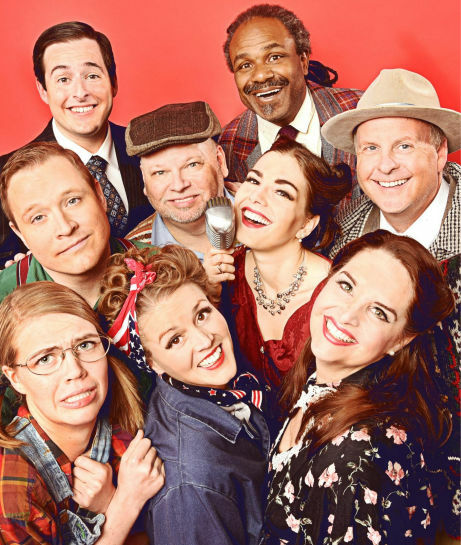 Congratulations goes to Larry Keeton for being named one of the First Night Honors, recognizing individuals who have taken leading roles in advocating for live theater in Tennessee. Larry was recognized for his work with his namesake, The Larry Keeton Theater. Two great events coming up at Two Rivers Mansion. 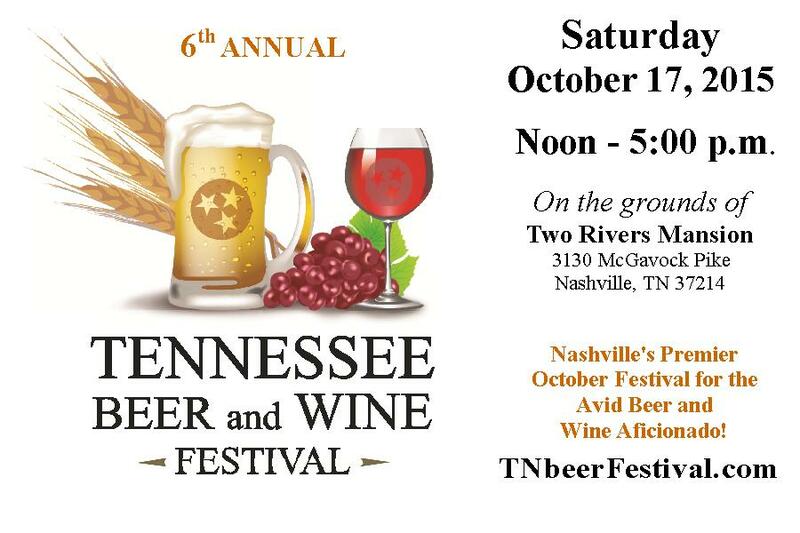 The first one coming up is the 6th Annual Tennessee Beer and Wine Festival on Saturday, October 17. Early tickets are on sale now at their website. I enjoyed the opportunity to welcome our new and improved Raceway service station at their grand opening ribbon cutting recently. It’s a big improvement to the property and the staff were very friendly and wanted to the community to know they’re here to serve. I hope everyone is well and enjoying these cooler temperatures. I’m very thankful to each of you for the continued congratulations and well-wishes I receive as I see you out in the community. Every one means a great deal and fills me with encouragement. I was asked to officiate my first wedding on September 12 and it was a memorable experience. Congratulations again to Tim & Jill Halterman and I wish you many wonderful years together. The weather is starting to cool off a bit and there are some great events to enjoy in the weeks ahead! Don’t forget the Hip Donelson Community Farmer’s Market is going strong every Friday until the end of October. 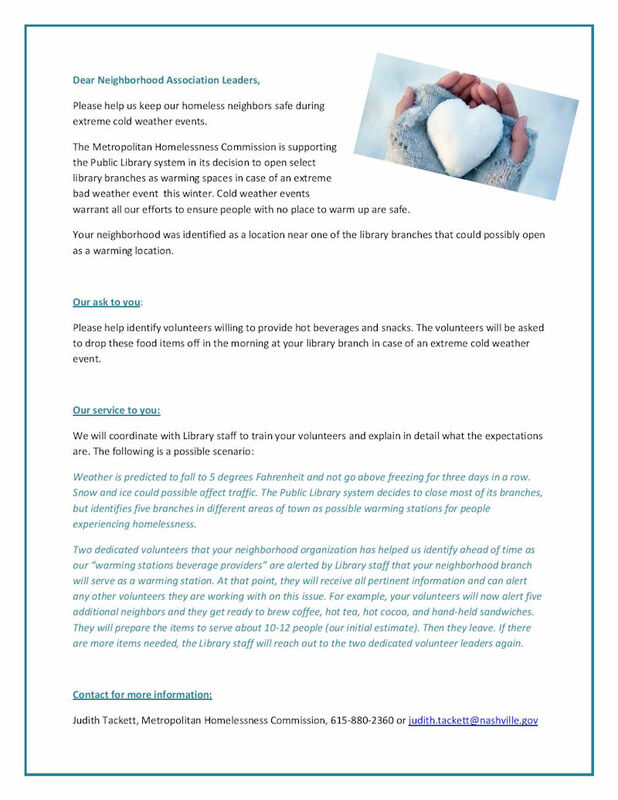 Lots of great information about what’s going on at the market can be found at their website. I had a blast the weekend before last helping out the Tennessee Scenic Rivers Association in building a new access point to Mill Creek. It is located just off Elm Hill Pike under the bridge going over Mill Creek, just across from the site of the Buchanan Station Cemetery. It was hard work, but a lot of fun and I met some new friends. The TSRA built a very successful access point on Stones River near Kohl’s a couple years ago. 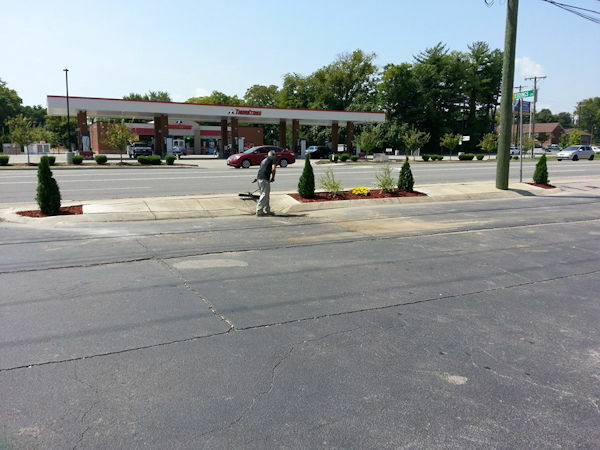 I’m meeting with them soon about a couple other possible locations to build access points in Donelson. Check out their website above to learn more about what this great organization is all about. 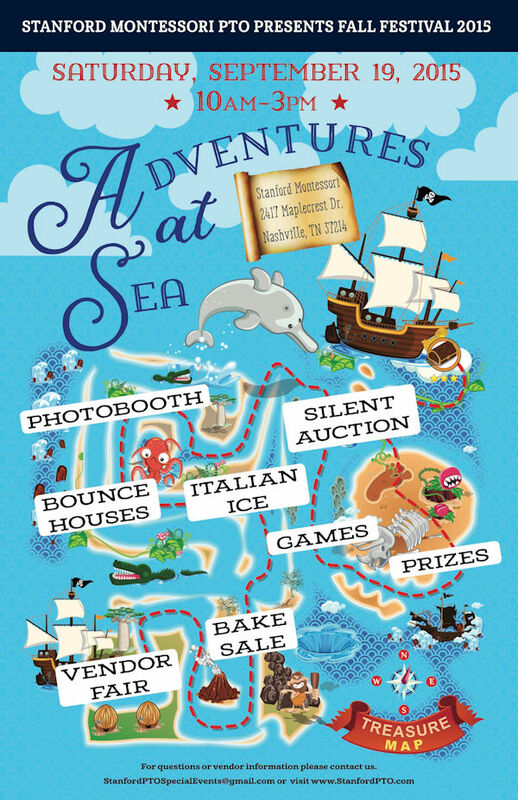 Stanford Montessori is having their annual Fall Fest on September 19. They are also seeking vendors. See the two flyers below and come on out to support them. You’ll find your new Councilman supporting the festival by being in the dunk tank at some point during the event! The Donelson-Hermitage Chamber calendar has some good events coming up to share. Nashville Shores is hosting a “Business Card Exchange” that the Lebanon Wilson County Chamber, Mt. 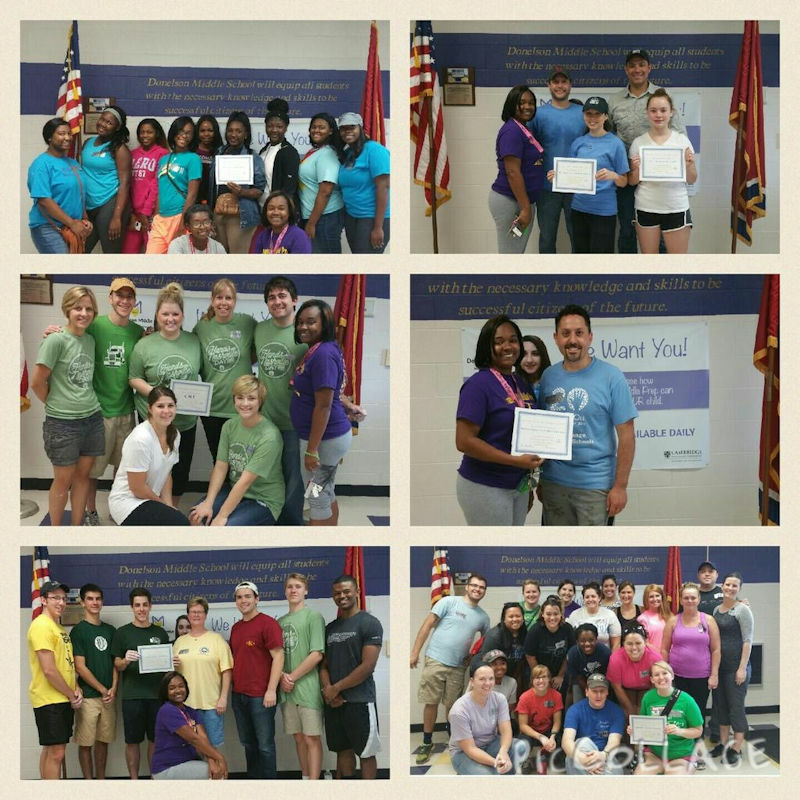 Juliet Chamber and the Donelson-Hermitage Chamber invite everyone to on September 9. See link above for details. 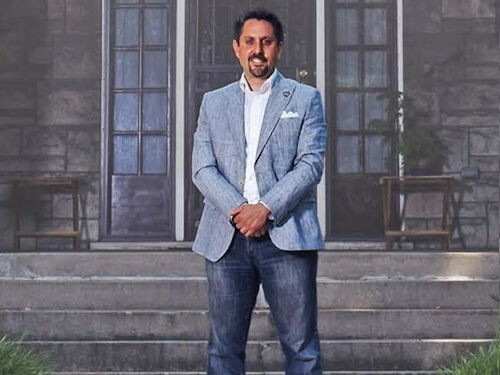 SmartSpace President Floyd Shechter will be the guest speaker at the DH Chamber’s September’s General Membership Luncheon on Thursday, September 10, addressing growth and development in the Donelson, Hermitage and Old Hickory areas. Congratulations to Homegrown Taproom & Marketplace for having a very successful grand opening and incredible first couple of weeks. The marketplace is still in progress and should be open later in the Fall. It’s a great new neighborhood business and my thanks to Robin Davis and Jennifer Starks for bringing it to Donelson. 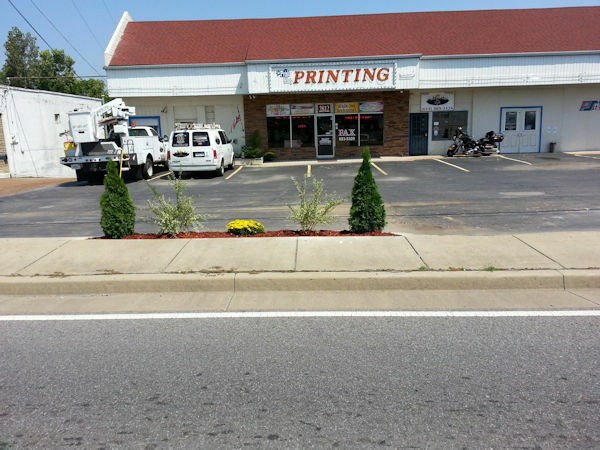 Check out these photos of beautification done by The Print Shop. They’ve been in business since 1975 and we thank them for continuing to serve the community with pride! The Nashville MTA/RTA Strategic Planning process, nMotion2015, continues with the release of Service Improvement Strategies, posted on their website. I encourage everyone to sign up for updates, attend and participate at the meetings and stay involved in this issue that has become one of the most critical challenges we face in our region. 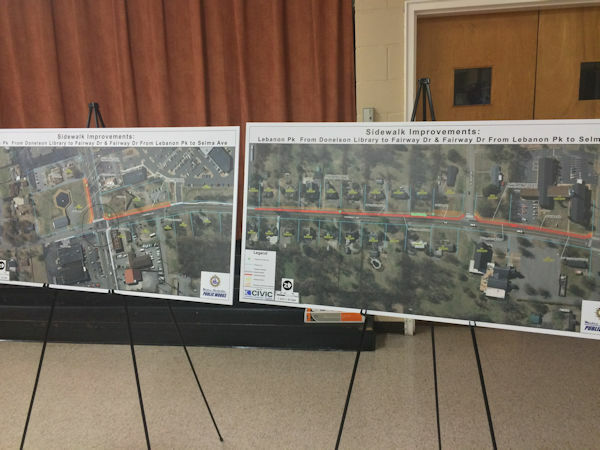 Councilman Claiborne and I led a meeting on September 1 with Public Works and neighbors on Fairway Drive to discuss a sidewalk project coming early next year. CM Claiborne has worked on securing funding for this project for several years so we have him to thank for this finally happening. 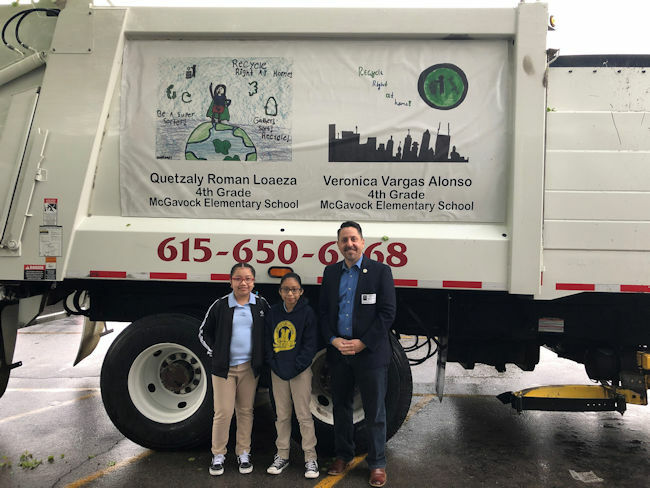 This project will connect Stanford Montessori with our Donelson Library. There are a number of logistics to work out over the coming months and if all goes well, it should begin in early 2016. It should be completed in about 6-months. This past month has been truly extraordinary and I am quite blessed. Each and every message of congratulatory well-wishes has truly meant a great deal to me. 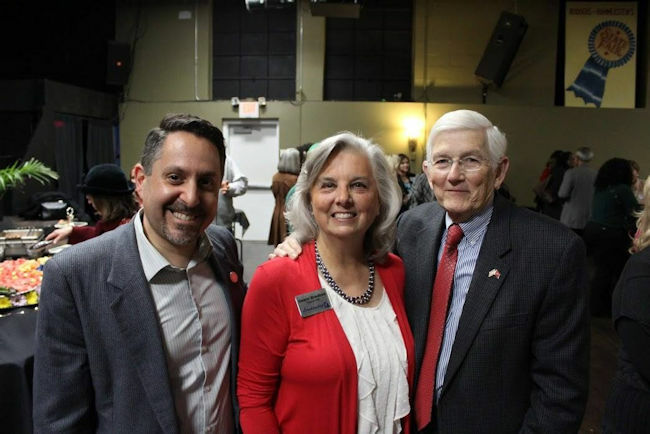 Sincere thanks goes to our Councilman, Phil Claiborne, for all his time, support and effort over the past couple of years as I worked towards running for the District 15 seat. It’s made the transition to hitting the ground running that much smoother as well. 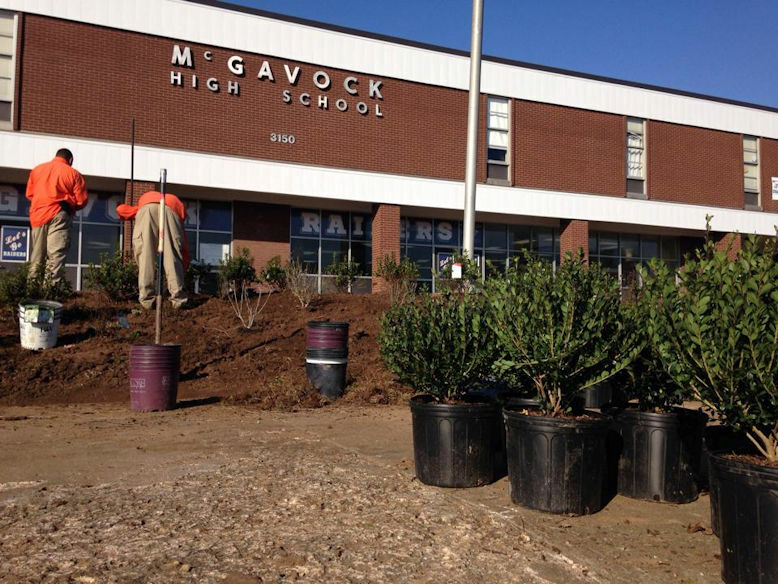 There are strong long-term initiatives and specific projects that began with CM Claiborne that the community will benefit from in the years ahead. 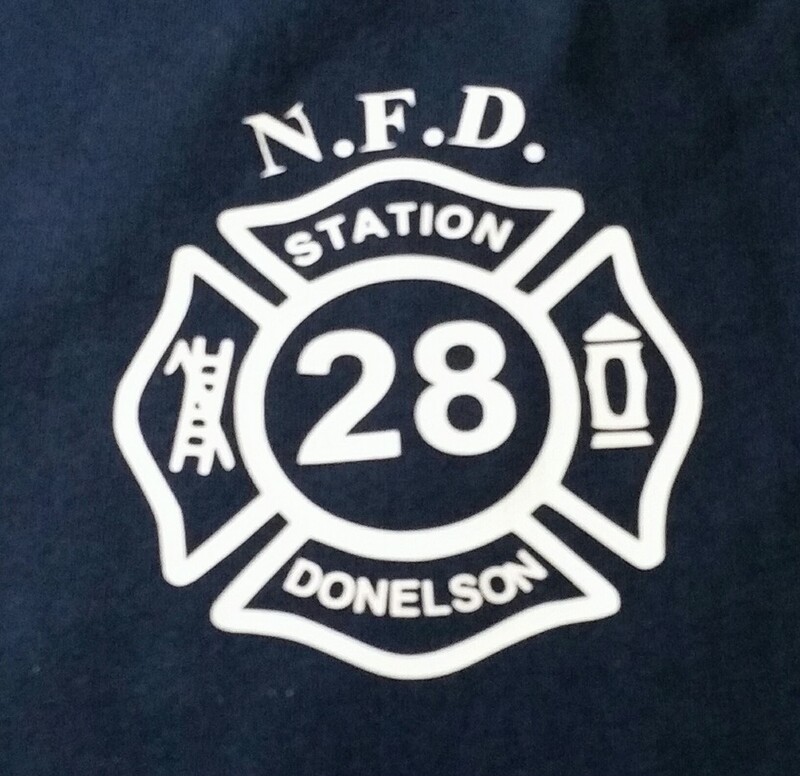 I believe there is a collective feeling in Donelson that very bright days are in front of us. The energy in the community is palpable. Look for an announcement coming soon about my first initiative to bring all our diverse neighborhood leadership together to help me be a strong voice for our community’s growth, development and preservation. There is much to learn from each other and collectively support the variety of issues we face. I’m proud to share the video of me taking the Oath of Office, administered by Judge Randy Kennedy. Thanks to neighbor and friend Chris Lackey who was there and caught the memorable moment of Judge Kennedy recalling all the prior District 15 Council Members since Metro was formed and reflect on his time as a Metro Council Member in the Donelson-Hermitage area. Big thanks to my lovely Markey for standing beside me, as well as CM Larry Hagar and my good friend Andy Depuy. 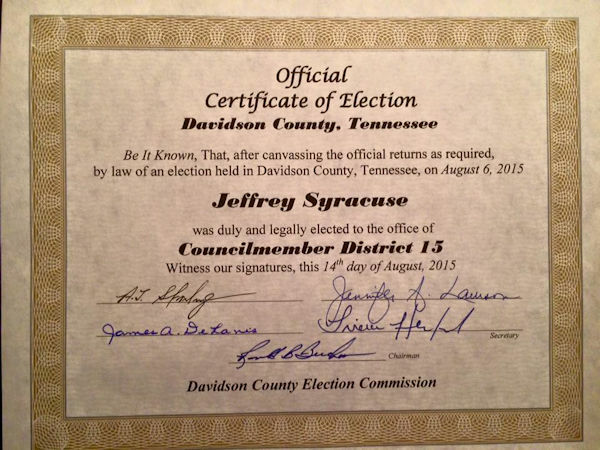 I also received the below Official Certificate of Election from the Davidson County Election Commission. My next Soul of a City blog is online. It’s poignant that I feature Roland White & Diane Bouska as I reflect on another past big milestone of helping strengthen my neighborhood. Not having organized a block party before and it being something never done in the neighborhood that anyone could remember, I had a little anxiety if anyone would show up. Not only did 100+ neighbors come, everyone brought an amazing variety of homemade delicious food to share. Roland and Diane and a handful of other talented neighbors shared amazing music with us. They also gave a wonderful performance for the whole community at Music at the Mansion a couple years ago. Enjoy the selection of their tunes and be sure to catch one of their shows down at The Station Inn! Our first official Metro Council meeting is Tuesday, October 6. In future newsletters, I will include a section to inform you on Council activities and decisions. Please make sure you get out and vote in the run-off election coming September 10. Early voting is going on now. All voting information can be found at www.nashville.gov/vote. I look forward to seeing you soon out in the community! 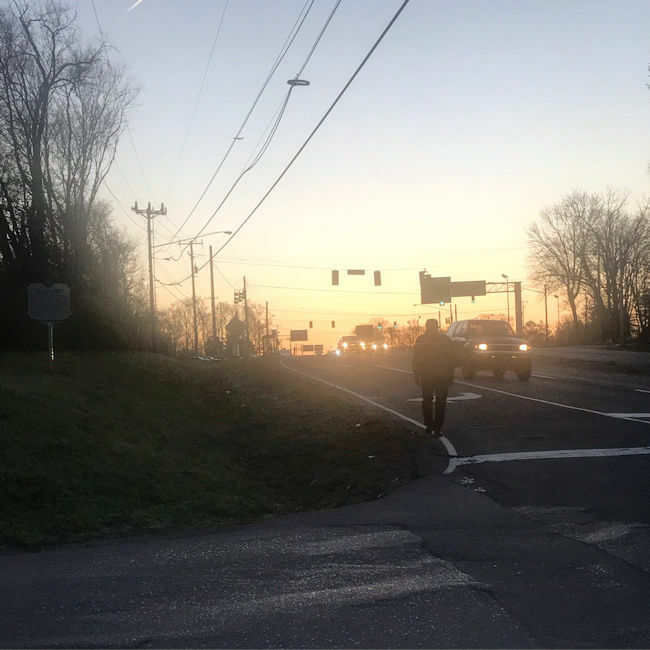 Metro Nashville Police Department and Nashville Fire Department will host a Traffic Safety Event & Share the Road Awareness Event at Centennial Park on July 25. There will be auto-theft VIN etching, shred-it and pill drop-off services and more. See flyer for details.